Marti Coley Eubanks is a Consultant with PinPoint Results LLC. Having served in state government, the classroom and private sector, Marti brings years’ of experience advocating for children, health, education and economic development to the firm. Prior to joining PinPoint Results, Marti was the Governmental Relations Director for Nemours Children’s Health System Florida, where she spearheaded the hospital’s legislative agenda. 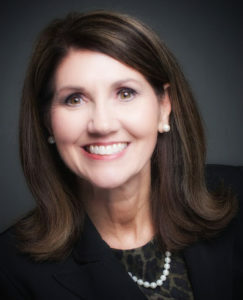 From 2005 to 2014, Marti served in the Florida House of Representatives, where she served as the Speaker Pro Tempore her final two years in the legislature. Throughout her legislative career, Marti was a strong advocate for education, children’s issues, cancer research and economic development. Marti started her professional career as an English teacher, teaching on the middle school, high school and college levels. She worked with Chipola College in Marianna, Fla., for more than 20 years. Marti received her degree in Education from the Florida State University (FSU). She is married to Bennett Eubanks, and between them they have six children and two grandchildren. She enjoys spending time with her family, reading, snow skiing, horseback riding and attending FSU athletic events.